It has taken time but, with the persistence of an unreformed trainspotter, I have concluded that this motorcycle is a Triumph 494cc Model P. Standing proudly in front of the sidecar is my mother aged about four while Mrs Kipper sits, queen-like, on her mobile throne. The motorcycle was introduced at the 1924 Motor Cycle Show and fits perfectly with family chronology – this photograph was probably taken by my grandfather around 1926-27 and I would guess the machine is nearly new, just possibly on its maiden voyage. The tell-tale signs are the shape and markings on the fuel tank, the forks and the size and shape of the guards which distinguish it from the Triumph Ricardo. All of the minor details match images of other Model Ps. The number plate indicates it was registered in Portsmouth, an invigorating fifty mile ride from Andover. According to Bonhams, the Model P was a landmark machine in the development of the motorcycle in Britain. A no-frills, sidevalve-engined model, the newcomer was priced at £42 17s 6d, at which level it undercut every other 500cc machine then on sale in the UK. The first batch manufactured was not without its faults, but once these had been sorted the Model P was a runaway success. Output from Triumph’s Priory Street works was soon running at an astonishing 1,000 machines per week, and the Model P’s arrival undoubtedly hastened the demise of many a minor manufacturer. At auction, a restored Model P will now sell for around £9000. As the owner of a Triumph Scrambler, I now know there is a distant connection with my maternal grandfather’s choice of machinery, at a time when there were many more manufacturers to choose from. My Scrambler is an 865 cc, air-cooled, DOHC, parallel-twin. You can trace the origin of this machine back through the 1959 T120 Bonneville, the 1953 Tiger T110, the 1950 Thunderbird and the 1938 Triumph Speed Twin. My bike and that of my grandfather’s are not so distantly related as might be imagined. I am travelling the north coast of Scotland from Durness and have reached Reay. This, I should emphasise, is purely in a virtual sense. 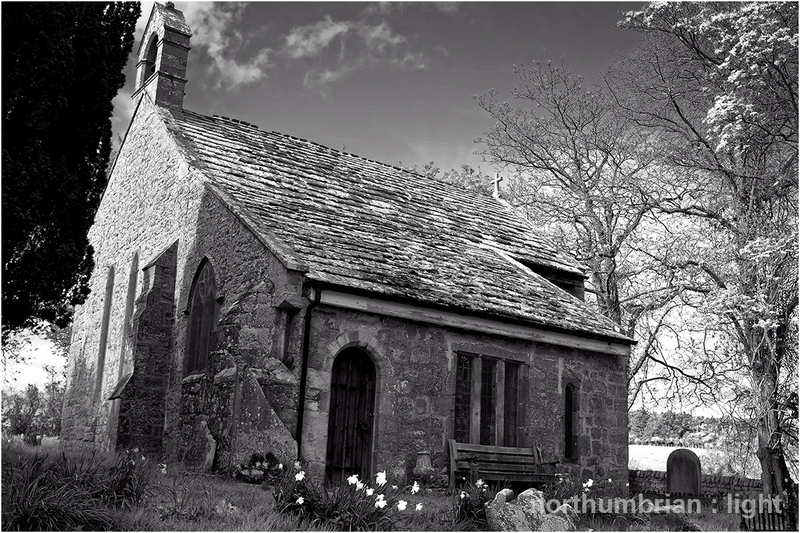 In the real world I remain tied to my keyboard and screen in deepest Northumberland, still waiting for signs of Spring. Having turned left off the A836 into the car park at Reay Golf Club, I have become distracted by Ard Neakie, a place not far from my starting point. Ard Neakie is a would-be island on Loch Eriboll’s eastern shore, attached to the mainland by a narrow strip of sand and shingle. Viewed from above, on the main road, it appears a bleak and abandoned place, the main evidence of earlier human endeavour being the lime kilns. It was not always like this. The quarry workers’ lodgings, taken in the late 1980s. By the end of 2009, it looked flimsier still and there is a suggestion it may have since collapsed entirely. The nearby Ferry House is a different proposition. I may have neglected to take pictures back in the 1980s but Canmore, the online catalogue to Scotland’s archaeology, buildings, industrial and maritime heritage, provides the opportunity for a virtual tour, inside and out. The Ferry House was not only home to the ferryman and his family but also a shop providing supplies to North Sea trawlers seeking shelter from the storm. Trawlermen, quarry workers, the shop, the ferryman and his passengers, the boats transferring limestone from Eilean Choraidh and the ships dispatching lime to east coast farmers, on some days Ard Neakie bustled. The history of this place, and Sutherland in general, is encapsulated in the lives of one family – without these stories, Ard Neakie is just a collection of old stones and rotting timbers. When Anne and her husband Alexander Mackay were cleared from their croft at Totaig, they were resettled at Achnahuaigh, Melness, just south of Port Vasgo at the head of the Kyle of Tongue. It was here that they raised their daughter Dolina who would in 1887, marry local cabinet maker, George Mackay. George had been planning to better himself by emigrating to Canada but was persuaded by the Duke of Sutherland to use his woodworking skills as a boatbuilder and to run the Heilam Ferry from Ard Neakie across Loch Eriboll to Portnacon. They raised seven sons at the Ferry House, the eldest being Hugh who would eventually qualify as a teacher, having studied at Aberdeen. Hugh’s highway to Aberdeen was by sea, regularly catching a lift from trawlers as they stopped by at Ard Neakie. This connection with the sea is significant and points to a time when these coastal communities were better served by water than by land. Hugh served with the 1st battalion Seaforth Highlanders during the Great War and survived despite being declared ‘missing, presumed dead’. He returned to teaching, married his first love, Catherine Sutherland and eventually retired to Connel Ferry, near Oban. Once he left home, he never lived again at the big house on Ard Neakie, unlike younger brother Alec. Alexander Mackay was born in 1889 and attended Eriboll School before joining his father George, to run the ferry and to learn the trade of boatbuilding. Like my grandfather Fred, Alec was in the Territorial Reserve and both would see active service at Gallipoli. 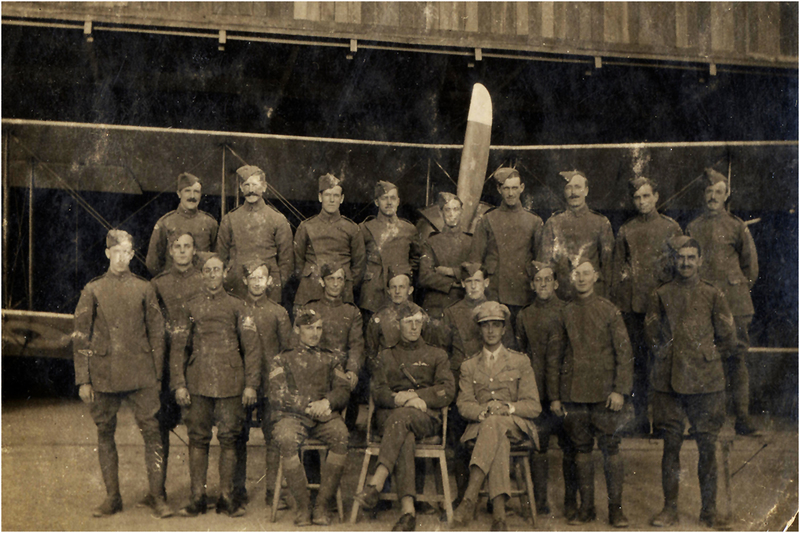 Both Fred and Alec were transferred to Alexandria but whereas Alec fought in Macedonia and France, Fred transferred into the Royal Flying Corps and served the rest of the war at the RFC Training School, Aboukir. Alec survived the war but suffered disfiguring facial injuries in France and was not finally discharged until March 1920. The expectation was that Eriboll Farm would be divided to provide land for returning local servicemen and Alec was fully expecting to receive a share. In another example of shoddy behaviour by the estates and landowners, this never happened so Alec returned to boat building and operating the Heilam Ferry with his father. There is a photograph of the young Alec standing in front of the workers’ lodgings holding a large salmon by the gills. A prize catch for an innocent young man dressed in heavy tweed. The man who returned to Ard Neakie was not the same boy who went to war in 1914. Like Hugh, the young Alec never returned and we will never know the demons that accompanied him as he walked back down the strand to the front door of the Ferry House in 1920. He would live out the rest of his days on Ard Neakie where he died a bachelor in 1957. The last of the family did not leave the Ferry House until 1990 since when the lease has not been renewed and the building remains empty, except for the echoes from the past. This story is told because I have a soft spot for the small ferries of Scotland – I have written elsewhere on this subject – my first such crossing being at Ballachulish in the late 1950s. It is an oft repeated ‘fact’ that the Heilam Ferry closed in 1890 when the road around the loch was completed but this makes no sense. Firstly, when Alec returned from the Great War in 1920, he returned to operate the ferry and T Ratcliffe Barnett writing in 1930 (Autumns in Skye, Ross and Sutherland) refers to the operational ferry at Portnacon. Secondly, bearing in mind this was a passenger service (you might be allowed to to take a bike), why would the opening of an eleven mile road around the edge of the loch negate the need for a one mile crossing by water. I am on a mission to find out when it really closed and what the ferry looked like in operation – we will be there again in late April. The stories of the Mackays is taken from A Full Circle – The journey through time of the Mackay Family of Heilam Ferry, Loch Eriboll from 1841 – 2014 – The Clearances to the Present Day, produced by Fiona Mackay while working as a voluntary archivist at Strathnaver Museum. 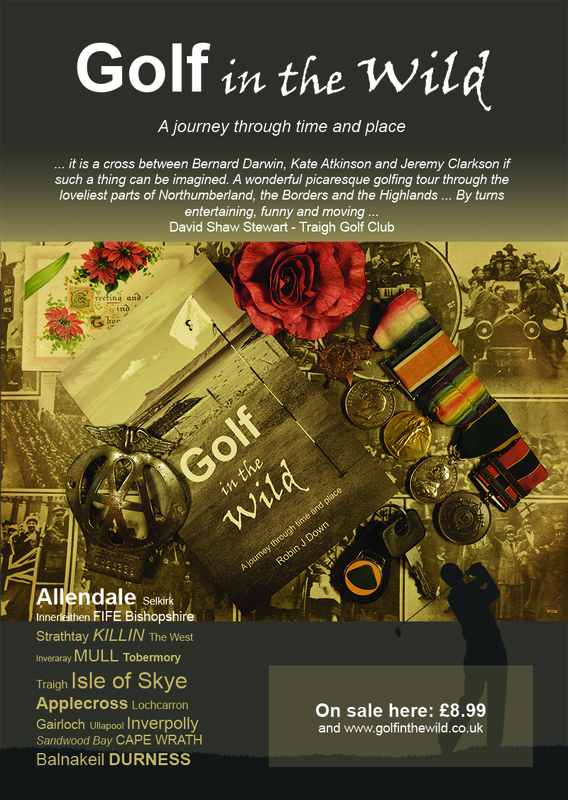 The story of Alexander Mackay’s war service is taken from Pibrochs and Poppies – A commemoration of WW1 Pipers from North West Sutherland. This is the poem/song (I never heard it sung) that my grandfather taught me. If I concentrate hard, I can hear his voice reciting through a cloud of Three Nuns pipe tobacco which he would rub in his stained scarred hands. Even when gone, they talk to us. 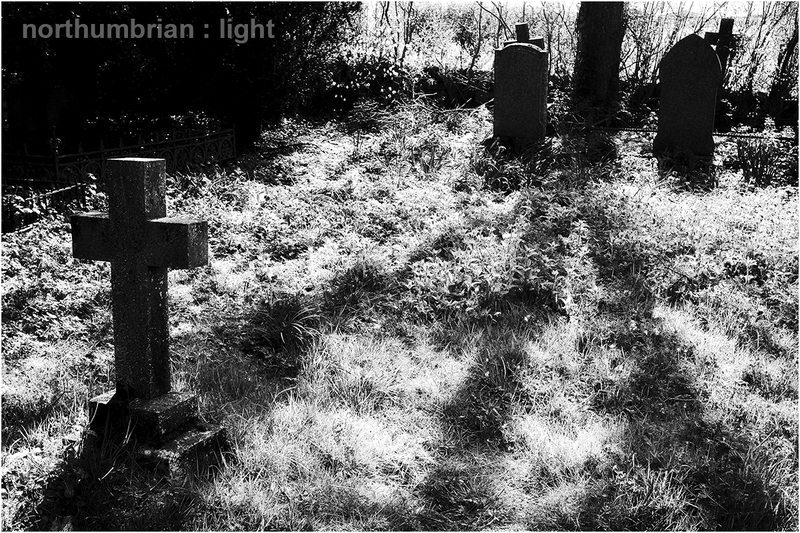 A walk to Old Haydon Church earlier in the month gave voice to strangers. 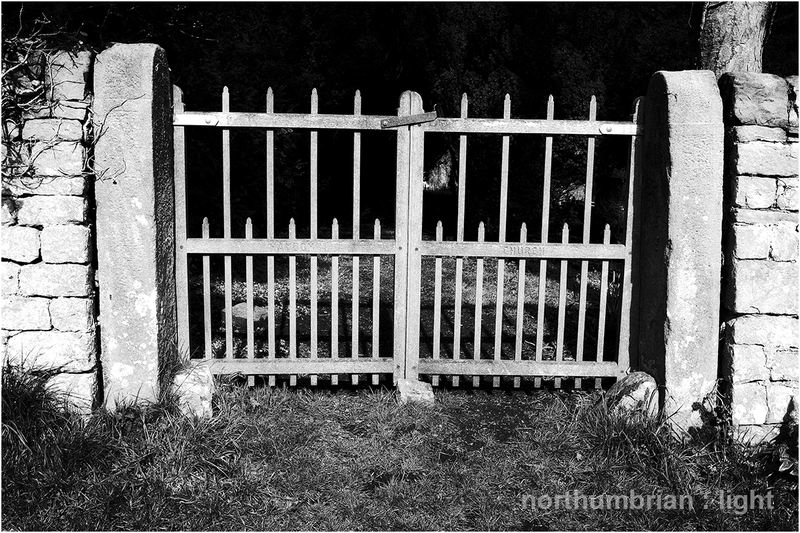 Muriel Sobo’s article in the April/May edition of The Northumbrian reveals that this hidden church was the original place of worship for the parish of Haydon and dates from around 1190. Used until the 1790s, ‘a new church was then built nearer the bridge crossing the Tyne, as the population had concentrated there and a market was established. Parts of the old church were demolished and some stones used in the new building’. I guess this explains its stunted appearance. Ann his daughter Died Sep. 28th 1772 in infancy. William his son Died Jan. 20th 1775 in infancy. Mary and Ann his twin daughters Died June 5th 1781 in infancy. Ralph his son Died Feb. 8th 1790 aged 11 years. John his son Died Oct 28th 1790 aged 10 years. Elizabeth his daughter Died July 26th 1794 aged 16 years. The hard times of old England. (the same edition of The Northumbrian also contains the review of a certain book 😉 ). … is in the detail. This is blatant self-promotion but I trust I will be forgiven. 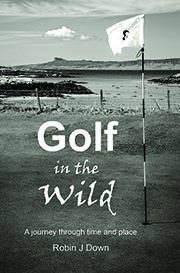 I have been working on another promotional poster for Golf in the Wild, trying to convey its real ‘charm’ i.e. it is about much more than golf. The detail in the image connects with some of the topics – the Great War medals belong to my maternal grandfather whose exploits appear regularly throughout; the AA (Automobile Association) badge is the one that adorned all of the family cars that I grew up in and with, starting with this one; the ignition key with Lotus badge is from here and connects with the motor racing of the 1960s and 70s, a teenage obsession that is referenced throughout; the background images are from the Armistice Day edition of the London Illustrated News, the day my great Uncle Billy was buried; the card in the top left hand corner is from Uncle Charlie’s collection, one of the many from his lady friends; the rose is just a rose. When I was seven or eight years old I was not allowed out in the street to play with the other kids. I remember some nights staring from my bedroom window wondering why I was different. My grandfather, Fred, would occasionally make the long trip north from Andover to Manchester, just to escape Mrs Kipper. One glorious evening he had words with Peg, my mother, and I was finally allowed my escape – I can still remember the sense of elation as I ran down drive the drive to join the others. From then on I was the same. Ironically, Fred had a reputation for iron discipline but, even if this were true, times were different. 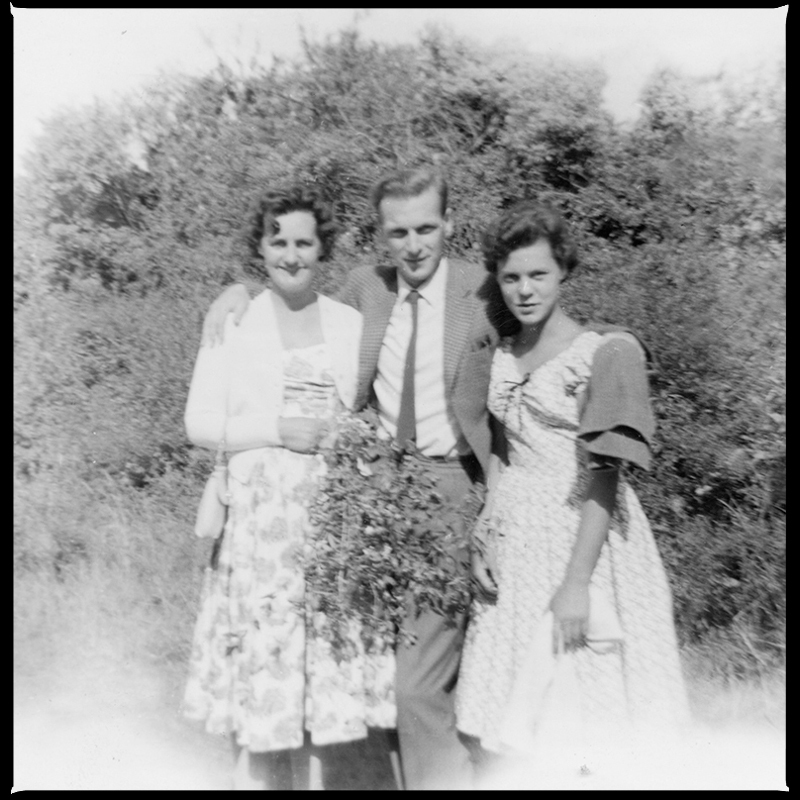 My mother was just sixteen as war broke out and there were army camps nearby; Fred knew all about the military. Growing up a teenage boy in semi-urban Cheshire was a world away from Andover in the 1930s but the inherited rules were the same. 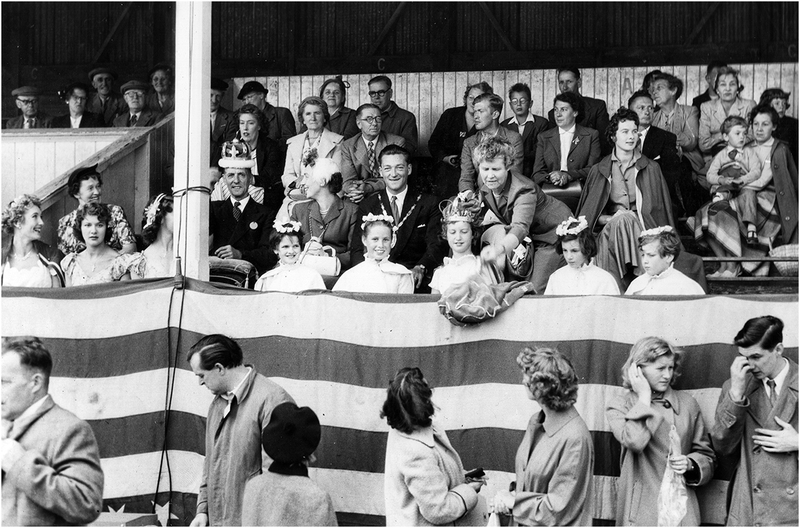 When I needed Fred the most he was already gone – the Carnival King died in 1966. 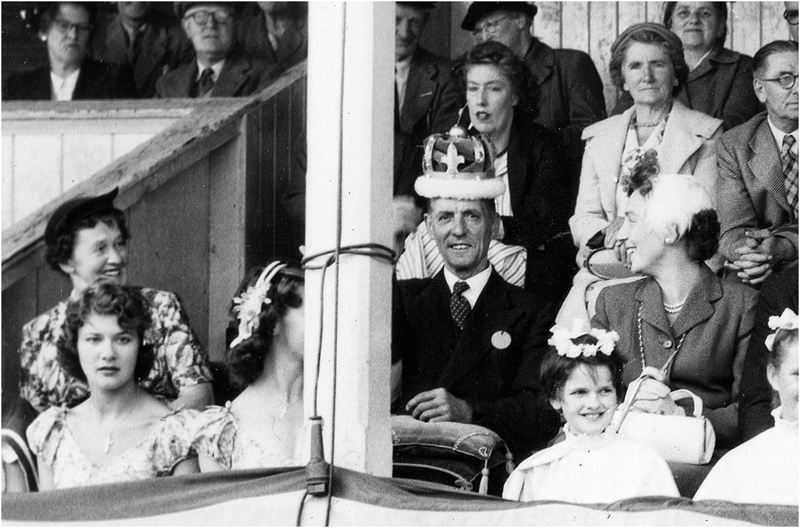 This photograph captures his spirit best – Mayor Carcetti thinks he is taking centre stage but the real star is my grandfather, wearing the Carnival Queen’s crown and smiling like an errant schoolboy. Is that you Billy … ? I thought I would take brief respite from the Norwegian ‘expedition’. 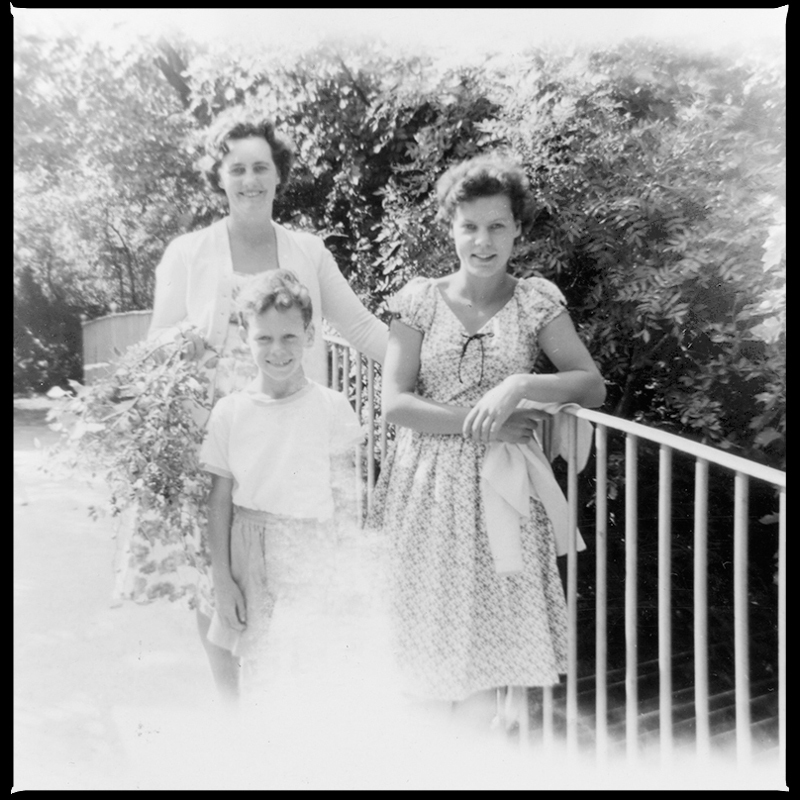 I have been in the attic again, this time searching for my dad’s photographic album of our 1963 holiday near Bergen. There are boxes of photographs, negatives, postcards and documents dating back two generations up there and one day I must sort it out. In the meantime I can still do some random poking about and come up with unexpected treasures. The exploits of my maternal grandfather, Fred, have featured in a number of posts on this blog and in this book. He was a Chief Mechanic with the Royal Flying Corps stationed in Egypt during the Great War and at first sight I assumed this postcard was another from his collection. However, not only is he not in the photograph but the hangar and their uniforms don’t look right for Aboukir in Egypt. The penny then dropped – this is not about Fred but Billy who was stationed in the UK. I have now convinced myself that he is standing on the back row, second from the right. This guesswork is based on his only other image which can be found on the post Great Uncle Billy where the uniform is identical. Nobody else looks vaguely like him, the hairline, ears and dark eyes seem to match and why else was the image kept. As it states in the earlier post, his funeral was marked with military honours at Andover Cemetery in the presence of his mother, father, ‘chums and superior officers’ and his fiancée, Miss Coombes. Were some these heads bowed at his graveside on 11th November 1918. This is how I remember growing up. Long hot summers with a bright light leaking in around the edges. Such is the power of the still photograph, I remember it only in monochrome. The first picture, taken by my Dad with a Kodak Brownie, is on top of the Iron Bridge, Ladies’ Walk in Andover. The bridge was installed in 1843 by Taskers Ironworks and carries the walk over Micheldever Road. Taskers was the last company my maternal grandfather, Fred, worked for until his death at the age of 74. The bridge is about a half mile up the hill from where he lived with my grandmother, Florence May aka Mrs Kipper, which explains why we are there. The bunch of wildflowers was for my sister’s pressed flower project – strange what you remember. 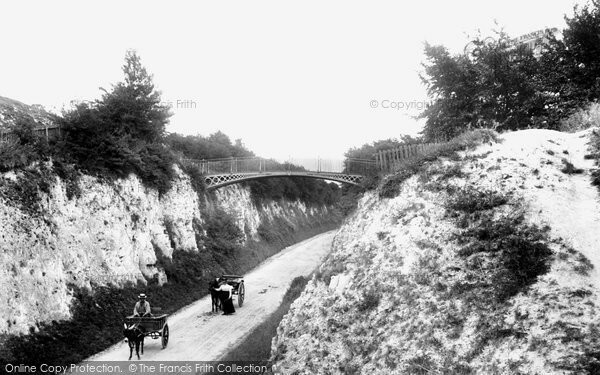 Micheldever Road was once a busy road linking Andover with the villages and army camps to the east – to prove the point, there is the blur of a car passing beneath the bridge. The upgraded A303 now slices through the road such that it goes nowhere and has fallen silent along with Fred, Florence May, my Mum and my Dad. Further along the walk I was handed the camera to take the second picture, inevitably from a slightly lower angle – they are all looking down on me. As is the way with little brothers, later in life I would take great pleasure in reversing this perspective on my sister.